Hey guys, for the past 2 months, I really had bad skin time. My skin really clogged and I started to see many tiny bumps/ pimples and couple of cystic acne on my face occasionally too. Finally, I got sorted out how to clear up my annoying bumps on my face. 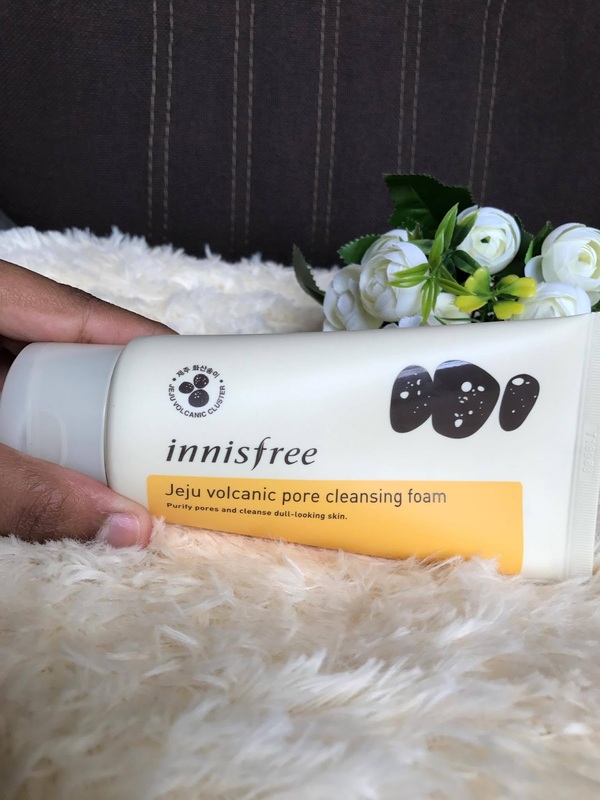 You only need do two things, one, you need a habit of washing your face 3 times a day (morning, twice night time right before you sleep) and number two you need the Innisfree Jeju Volcanic Pore Cleansing Foam and Pore Clay Mask. 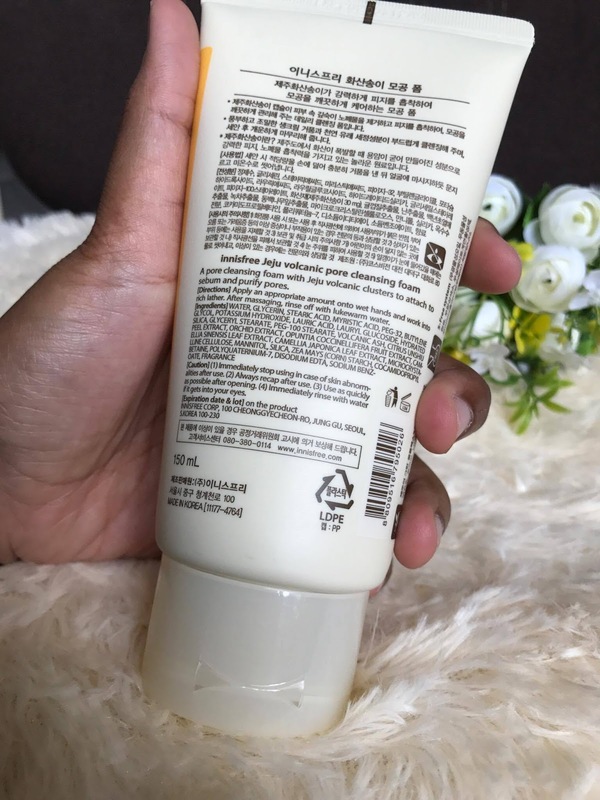 Keep on reading this post to find out what is my opinion regarding this product and how I cleared my tiny bumps on my forehead. Packaging wise it is pretty ordinary like any other face wash and clay mask container. The face wash comes in a tube which is really convenient for daily use and travelling. The clay mask comes in a jar which is pretty hygienic and clean. The texture of the fash wash is white foamy and creamy with a little tiny grain. However, the clay mask is really thick and creamy. The face wash is pretty straightforward. You just need to use it like any other face wash but try to massage your face while you washing because it really helps the product to clear your pores. The clay mask, however, don't really dry don't like my any other clay mask, It does its job clearing up my clogged pores but it doesn't feel like it is doing anything. Pretty reasonable and worth your every penny. I bought mine from the Hermo Website. This Cleansing Foam doesn't lather up into bubbles, but like foam (like shaving cream). An ingredient in this cleansing foam is Volcanic Scoria. 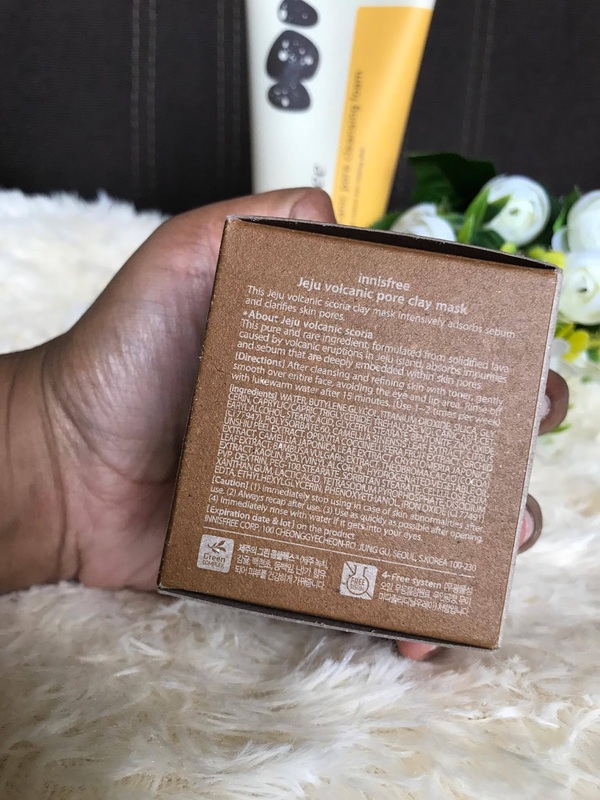 This is a pure and rare ingredient that gets formed from lava after a volcanic eruption and this is also known for its powerful sebum-absorbing properties. In this cleansing foam also you have AHA and BHA. AHA is used for exfoliation and BHA is used for pores. 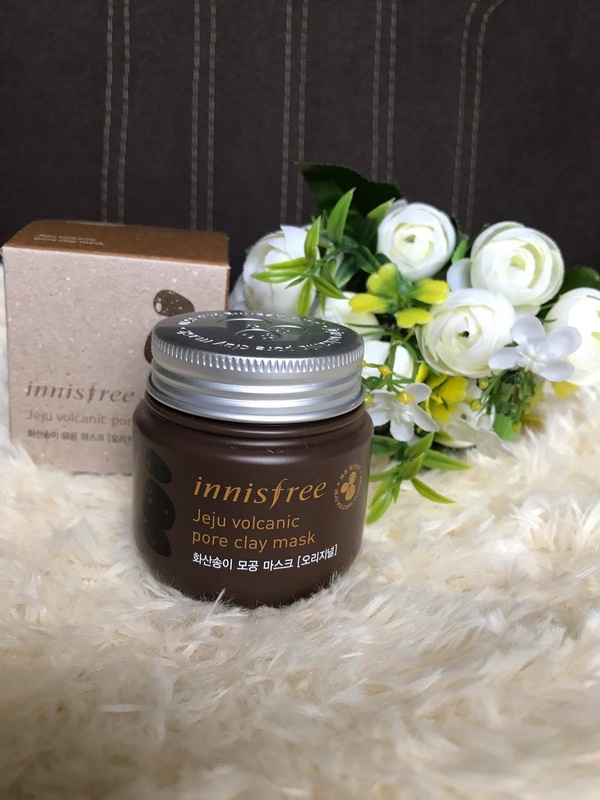 However, AHA and BHA really work effectively when it is on your skin for a longer time and that's where you Innisfree Jeju Volcanic Pore Clay Mask comes in. This mask doesn't dry down like my any other clay mask that I own. This clay mask is thick and creamy. The application of this clay mask is pretty smooth and easy. In this clay mask also they have that Volcanic Scoria which is good for absorbing your excessive sebum that causing the bumps. Plus, they have AHA and BHA which helps to exfoliate and cleans my pores which works really effective in clay mask form. Would I recommend? : Yes, for those who have combination to oily skin and suffering from clogged pores. 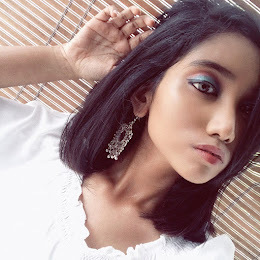 Have you read about Maelys Mask Review i think you can get good result with this. Thank you for sharing this. I will definitely check them out.